Fight Dragons in Tank! Tank! Tank! It’s not every day that I get to ask the easily answerable question: would you like a game that mixes Metroid-style exploration with luchadors? You don’t have to answer. I already know. 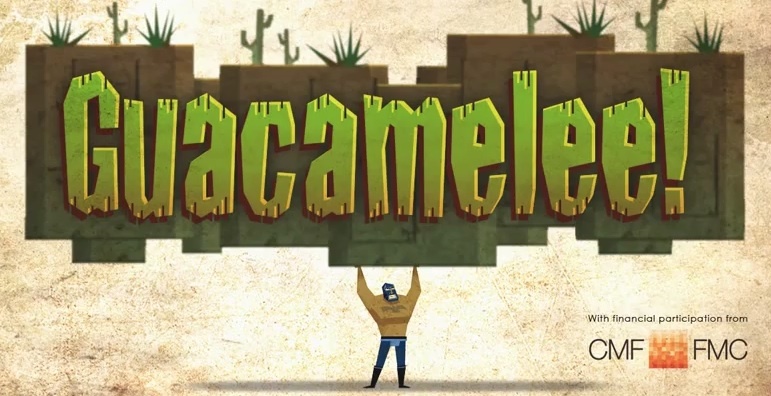 This game of your dreams is coming from Drinkbox Studios and is entitled: Guacamelee! In Guacamelee!, you take on the role of Juan Aguacate who happens across a magical luchador mask that transforms him into a face punching, wall busting dynamo. His task is to save the captured daughter of El Presidente. His means: fists. While the gameplay style of the game is borrowed from Metroid, Guacamelee! adds in a twist: at any time you can switch between dimensions like “the World of Nightmares” and “the World of the Dead.” While corridors might largely stay similar, switching will open up new paths and platforms allowing you to jump to higher areas or find new paths. In one dimension the way ahead might be blocked by lava, but in the other it changes to harmless water, and so forth. Additionally, you can wrangle a friend to join you at any time to fight off the hordes. While a set release date hasn’t been set in stone as far I could gather, you should be able to find Guacamelee! in early 2013 for the PS3 and Vita. And yes, you can play on both systems with interchangeable saves.